After a very busy Baselworld 2016, the well known Swiss brand Girard Perragaux is welcomed in our pages with its retro-inspired Competizione Chronograph Collection. The brand printed its mark on the Baselworld 2016 exhibition with amazing models like 1996 Dual Time and Esmeralda Tourbillon. 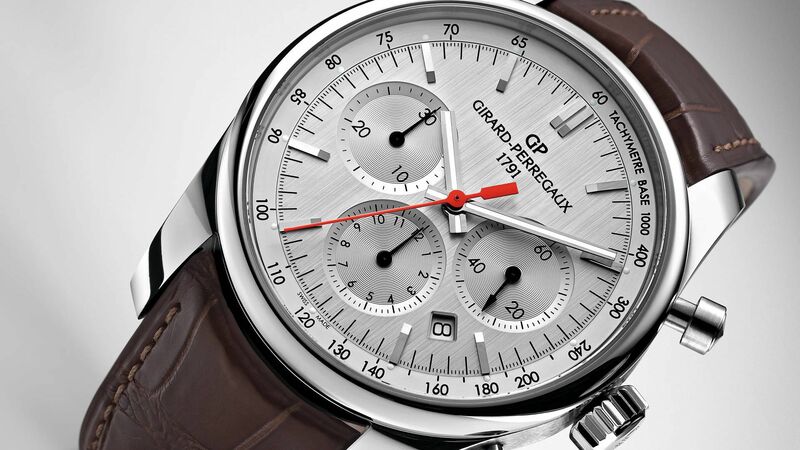 Besides those stunning new models, Girard Perregaux also introduced its Competizione Chronograph Collection featuring three different style chronographs all inspired by the brand’s sports heritage. 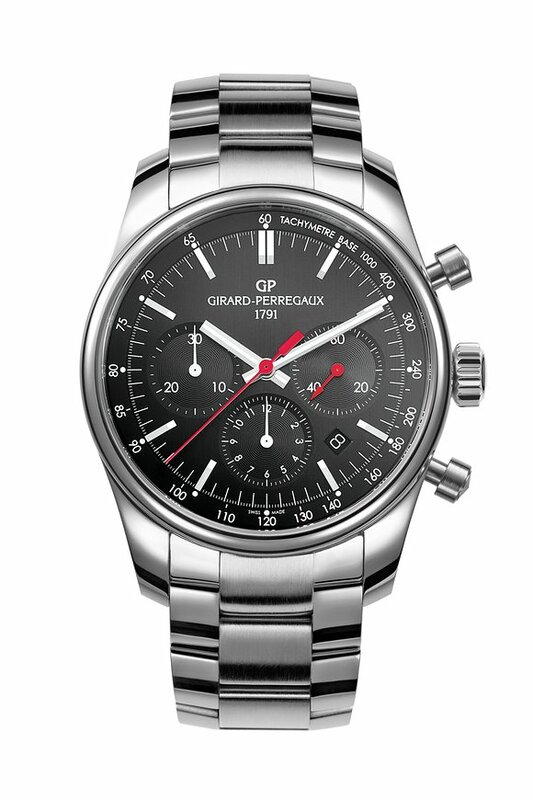 Girard Perregaux was quite successful with its sports chronographs during 50s and 60s. The sleek and balanced case designs were highly appreciated by the era’s sports chronograph aficionados and the movements were praised for their reliability and precision. The new Competizione Chronograph Collection features the very same feel of the past models combined with modern techniques and a contemporary 42mm diameter case. The collection hosts two different sub-lines as The Stradale and The Circuito. Besides the 42mm case, all three models also share the same movement as well. 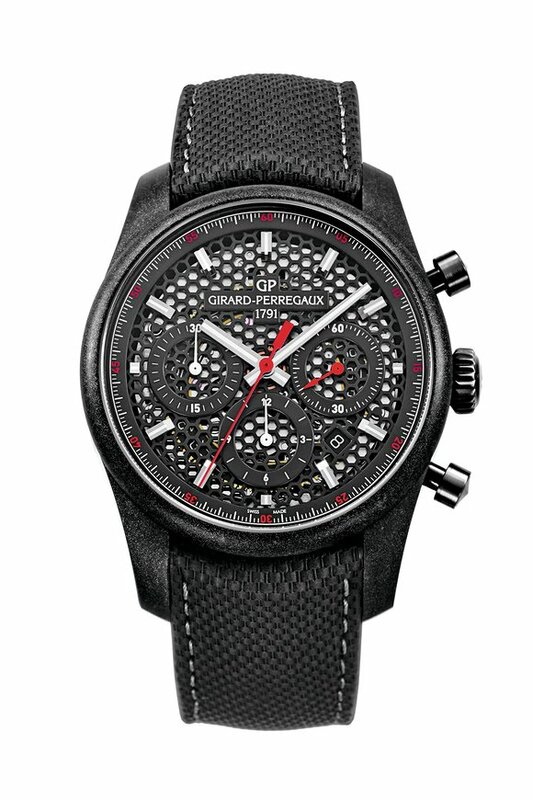 The new models feature the brand’s in-house movement Caliber GP 03300. The movement offers 46 hours power reserve when fully wound and it sports a classic Tri-Compax laid out chronograph and a date display located between 4 and 5 o’clock position. The Stradale Series is offered with two models which are distinguished from each other with dial color and strap/bracelet configurations. While the silver dial version is offered with a brown leather strap and a stainless steel folding clasp, the black dial version is accompanied with a stainless steel bracelet. Unlike its same platform cousins, The Circuito features hi-octane motorsports details true to its name coming from the race tracks. The dial is perforated with honey comb form just like the front grill of a classic race car. Both main and chronograph second hands are painted in red like the Stradale model but Circuito offers an inner ring with five minute markers applied on with red lettering. Matching perfectly with the sportive character of the watch, titanium and carbon composite materials are used to obtain maximum durability. 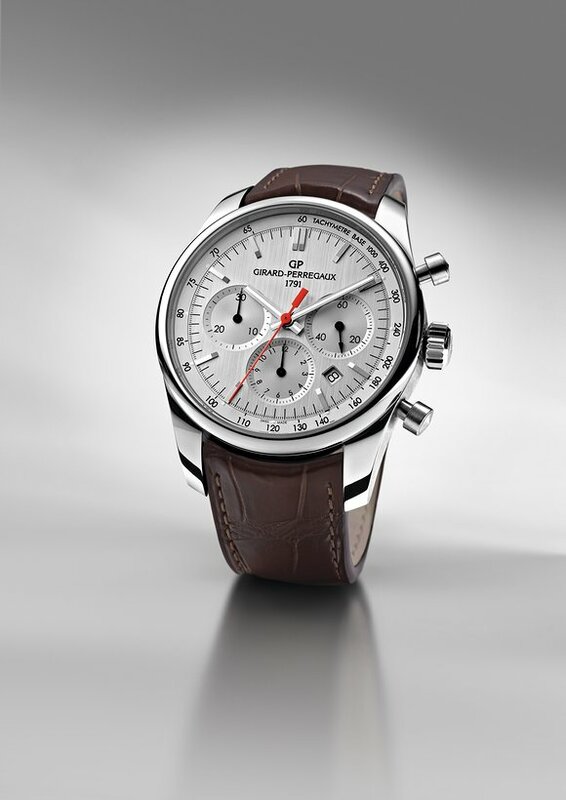 If you are a keen follower of the retro designs and willing to add a new sports chronograph to add your watchbox, Competizione Chronograph Collection by Girard Perregaux is a perfect option.